Come restructure your smile with beautiful inlays and onlays. If physical trauma or dental decay is ruining your smile, come talk to your doctor about potential solutions. If the tooth is too damaged for a filling but not damaged enough for a crown, an inlay or onlay is usually the best choice. These devices can be made of materials like gold, resin, or porcelain. Dr. Lambertus will help you choose your material based on your habits and preferences. How are Inlays and Onlays Different? An onlay is larger than an inlay and can cover more damage. If the entire surface of the tooth needs coverage, an onlay may be a better choice than an inlay. Don’t worry—Dr. Lambertus will learn more about your needs and answer your questions about your restoration options..
Dr. Lambertus will remove the damaged portion or any old dental work from the tooth. She will clean the area thoroughly and then shape the tooth for the inlay or onlay. Your dental team will create accurate impressions of your teeth and use these impressions to create a custom-fit inlay or onlay. Dr. Lambertus will permanently place your appealing and comfortable restoration. Inlays and onlays are very low-maintenance! Keep up with your great oral hygiene habits like brushing and flossing daily and your inlay or onlay will remain healthy and beautiful. Of course, visiting your dentist twice yearly is still an important part of your oral hygiene routine. If you care for your inlay or onlay, it can last for up to 30 years! Patients love that our inlays and onlays improve both the strength and aesthetic of their smiles. 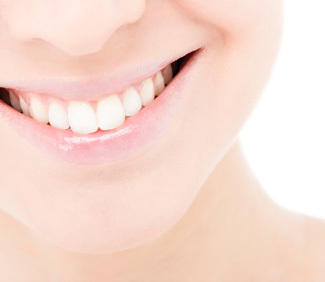 You’ll feel more confident than ever after your tooth is restored. Give us a call at Frontier Village Dental Care today to set up your appointment!